AN AMAZING HOME WITH EXTENSIVE MOLDING AND WOODWORK. 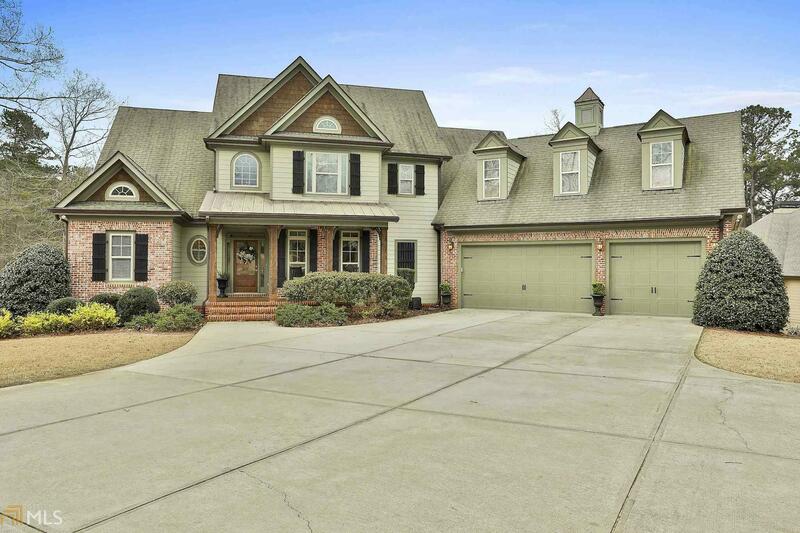 GREAT FRONT PORCH AND DRAMATIC ENTRY W/2 STORY FOYER. HDWD FLOORS IN FOYER, HALLS, DINING, GREAT ROOM, STAIRS AND 2ND FLOOR LANDING. 12 FT. DOORS, SHIPLAP AND STONE FPLC IN GREAT ROOM, SHIPLAP TRIM UP STAIRWAY THAT HAS IRON BALLISTERS. MASTER AND GUEST ON MAIN. FULL BATH, LAUNDRY, MUD ROOM W/BENCH. MASTER BATH WITH GRANITE/TILE/WHIRLPOOL TUB/SEP TILE SHOWER,DUAL SINK GRANITE VANITY AND HUGE CLOSET. ALL CLOSETS ARE DONE WITH BUILT-INS. DREAM KITCHEN W/LOADS OF CABINETS/GRANITE/6 BURNER GAS STOVE TOP W/POT FILLER & ISLAND. LARGE DECK 1/2 IS COVERED. UP HAS 3 BR ON W/BATH & 2 HAVE A JACK AND JILL BATH. HUGE BONUS ROOM TO USE AS YOU WISH. FINISHED BASEMENT W/HUGE REC ROOM W/SPEAKERS AND SURROUND SOUND. Directions: From Fayetteville Take Ga Hwy 85 South Approximately 10 Miles To Burkwood Subdivision. Turn Left And It Will Be The Second House On The Right. From Ptc Take Hwy 74 To Ga Hwy 85 And Then Left To Burkwood Plantation And Turn Right. Second House On The Right.